How to decide which Airline? Which Car Rental company? which Hotel? All airlines, all car rental companies, and all hotels are not the same. 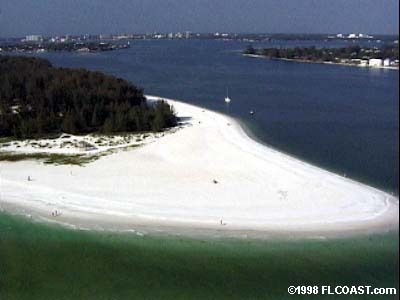 Florida has are wide variety of accommodations from luxury resorts to budget motels. Word of mouth is the way the disabled traveler hears about the good facilities. So, a quick trip to Florida and comprehensive research allows me to recommend first hand, several possibilities. The most important aspect of travel is attitude; there are always a few " trips from hell" for any traveler whether you are able or disabled. Keep smiling and take everything in stride. So here, we go . . .
Getting There: Air Canada is a carrier that cares. Air Canada, provides an excellent service for the disabled traveler. Air Canada boasts special check in counters, helpful staff, and attendants. I always use my own wheelchair right to the bridgehead. Note..If you are changing plans en route, always have wheelchair ticketed only to the change destination, then re-ticketed on from there, otherwise the chair could inadvertently to checked through with the luggage. Choose the Air Bus, 320, seating and legroom are ample plus accessible washrooms at the front and back, so choose seats accordingly Tip, when you are making your reservations with Air Canada tell them that you are disabled and your requirements. They are very willing to facilitate but you have a responsibility to tell them your needs. Travel as I do, I need a car or van and I have found Hertz to be exemplary in service and attitude. Hertz�s service and attitude are great! I usually get a van, great for the wheelchair and luggage. Hertz� understands, we who disabled are human beings first and just happen to be in a wheelchair /disabled. They have it right!! The ADA (the American Disabilities Act) has certainly provided for better facilities. Even in the designated "handicapped rooms�, you will encounter some frustrations. Such as no wheel-in showers, grab bars put in the wrong places etc.. Don't expect perfection. If you have suggestions let, management know, in a positive way. We don't live in a perfect world and maybe thank goodness we don't. Boring...... All frustrations make new experiences! Attitude is the key factor when I am evaluating hotels, assessing attractions and analyzing travel. The attitude, from the front desk clerk, to pool boy and waitresses makes the difference in my recommendations. Attitude, openness, and sensitivity go along way to overcome any physical barriers. On the Gulf Coast, at St. Pete's beach I recommend the Sirata Beach Resort. The Sirata Beach Resort is largely accessible. The Sirata Beach Resort is located directly on the beach, boasting two swimming pools, video arcade, restaurant, and laundromat. A family owned and operated (three generations) motel, associated with Best Western Hotels. Concern and care by management and staff is ever present. The beach is magnificent but not accessible for a wheelchair, like most beaches. Nevertheless, a wonderful beach for the family to frolic on and the pools are alongside the beach. Sirata Beach Resort's handicap/ disabled room is a spacious one bedroom suite, including 2 double beds plus a pull out couch The room boasts a full kitchen, balcony with beach view and handy the elevators. The bathroom is large but with a bathtub rather than roll-in shower. property upgraded, a delightful family resort. Sirata Beach Resort is reasonably priced in the $100.00 to $150.00 range and well worth the money. In the Orlando area, I recommend one hotel in Walt Disney World and one hotel outside. Just outside Disney World is Howard Johnson Park Square Inn and Suites on Palm Court. A great facility! Kids eat free with an adult from a buffet, which provides variety for all. Howard Johnson Park Square�s handicapped/disabled room is a spacious one-bedroom suite, boasting two double beds plus pullout coach in the living room. Amenities include two phones, two televisions, frig, microwave and coffee maker, with a large bathroom. The hotel includes two pools, two playgrounds plus a wading pool and video arcade The Howard Johnson Park Square is very comfortable, friendly, and family orientation. Room range from $55.00 to $95.00. Well worth it! Air, car, and hotel are crucial in making your vacation enjoyable and memorable. Remember that getting there is half the fun so enjoy your airline trip, making sure you have the right type of vehicle that suits your needs and the right accommodation. Jane Danielson is a Freelance Travel Writer and Poet and has been published in Canada and United States. She became mobility disabled 13 years ago using a cane and wheelchair. Jane believes that traveling is a prescription for a healthy positive outlook, especially for the disabled but really for everyone. Some of Jane�s articles include Camping in a National Park and Whale Watching on Brier Island. Her travel articles emphasis the positive ness of traveling, with recognition of the obstacles to be overcome to achieve this experience. Her poems reflect the frustrations of life and needs for courage when one is disabled and the hope for the future.